BIZBEE was established in consumer electronics industry in 2009. With an annual increase rate of 532%, BIZBEE develop rapidly and provide satisfactory service to over 18,000 B to B clients across the world. 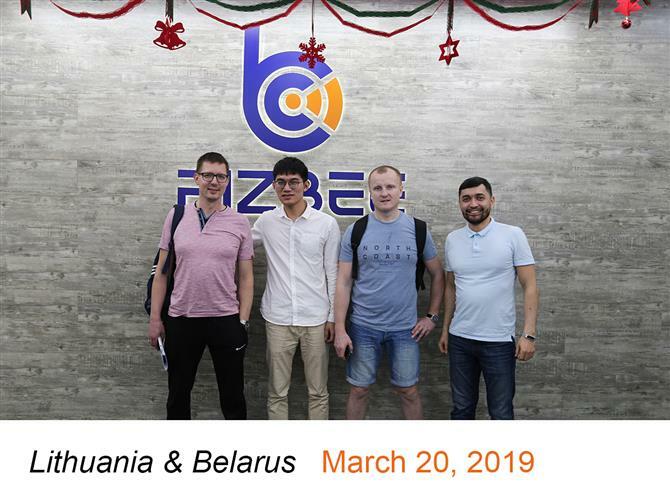 A lot of our clients have testified the development of BIZBEE and keep on giving their trust to us and have business with us for all these years. Some of them are new friends of us, but all of them are the strong support of us to make sure that we keep on moving fast and stable. Actually, I have checked about 6 companies, And BIZBEE has taken the advantage in the company’s size, professional and fast delivery. Ah… The most brilliant part is the package of items which makes me feel comfortable. I think you are the best cooperative partner in China mainland. Before I bought cheaper LCD from Guangzhou. A lot of customers gave me very bad feedback. LCD easily broken and waste my time and money. To be honest. The product prices of BIZBEE are not cheaper,but their quality is very good. Goods arrived within 3-4 days. Fast shipping. Thanks to BIZBEE. Let me win customers. I’m very satisfied with customer feedback and contact. Every person is reliable, nice and fast while making work duties for customer like I am. Every case is done with top speed. Great package and quality, Very satisfied with your company and always happy to deal with you in the future. The delivery time is very fast, We have had business for quite a long time. I do not want to lose partners like you. I am really appreciate for you to provide me the updated latest news and promotion from time to time. And these news are very useful for our clients. It is awesome.